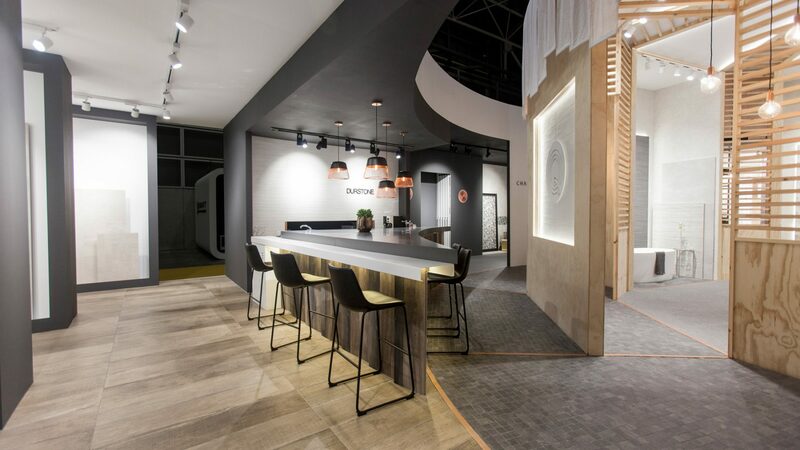 We created the “Blooming Gallery” as a creative space concept designed for showcasing the collections of the brand Q in their fair exhibition stands of Durstone. 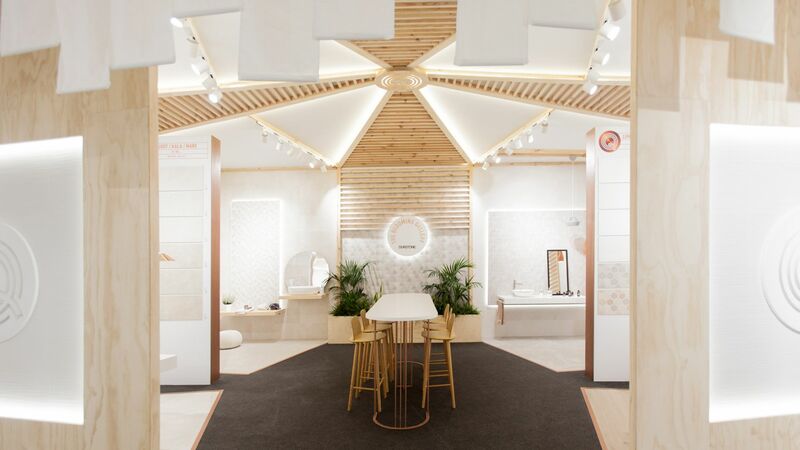 The “Blooming Gallery” has been playing an important part in Durstone’s stands for years and we reinvented the space fair after fair since 2013 evolving as the most renowned zone of their stand design. 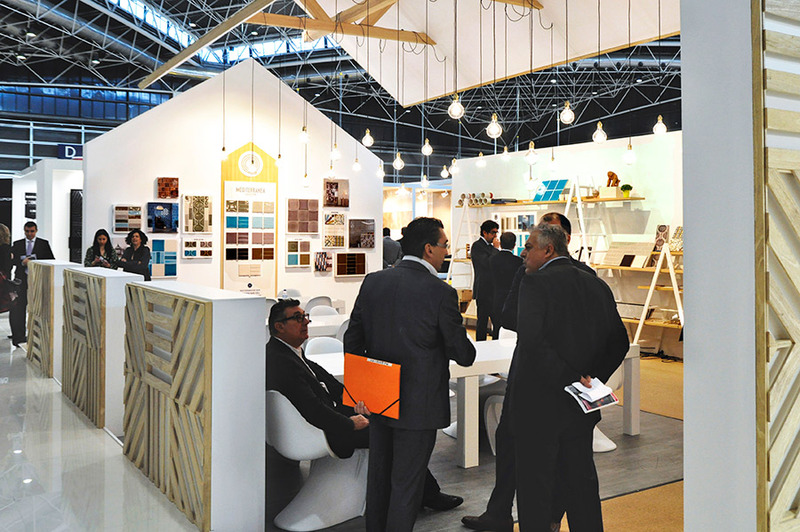 In 2013 Durstone tasked us to give a stronger role to Q in their exhibition stand for Cevisama. 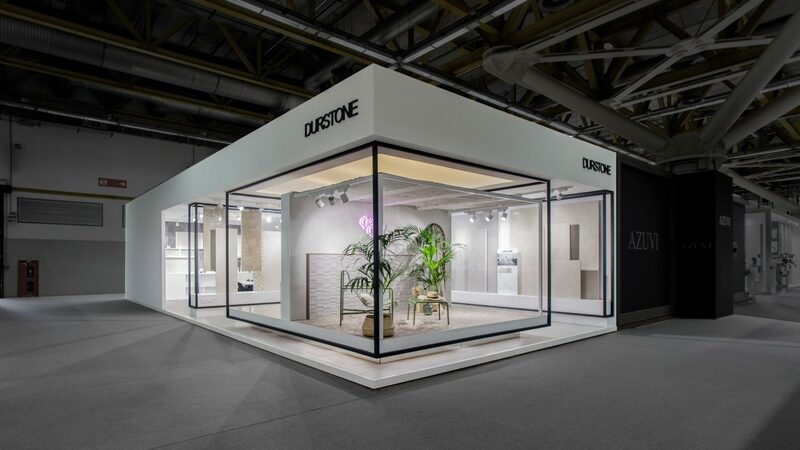 Then, we started thinking about a specific space for Q inside Durstone’s stand, more distinguishing and attractive for the visitors. 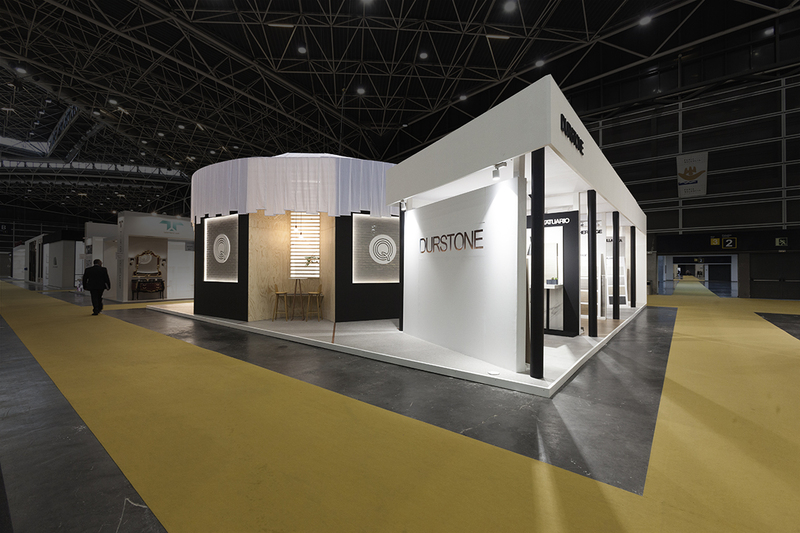 Introducing Q inside Durstone’s stand was a considerable challenge. 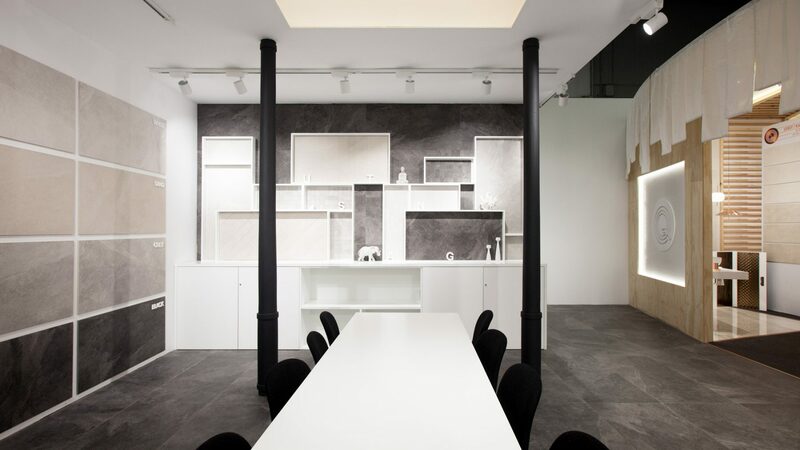 The main brand, Durstone, had a clean and minimalist style with black & white combinations and pure lines. 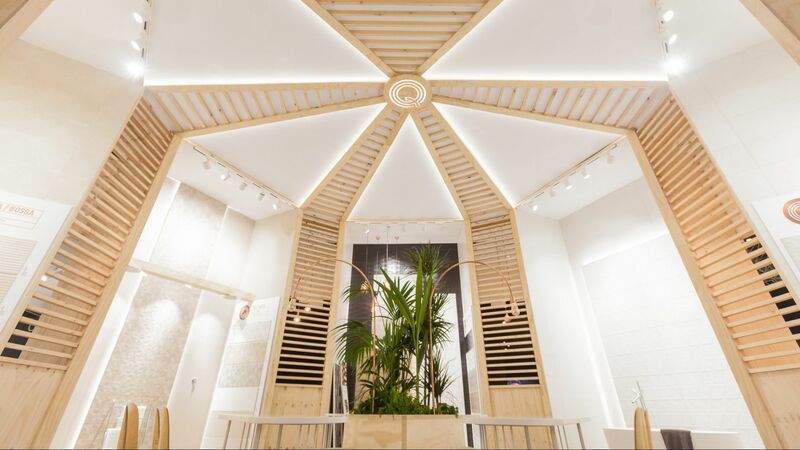 Meanwhile Q was a “young soul” brand with an eco-friendly & fresh style. 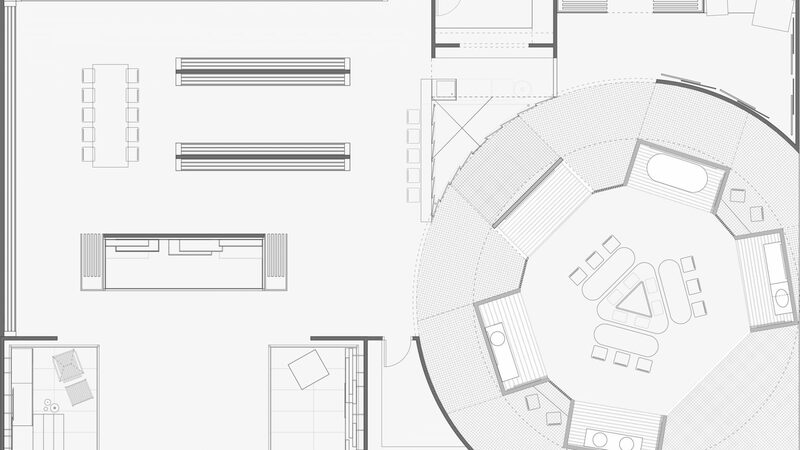 So our goal was to design a coherent and balanced space for Durstone combining both brands (and identities) under the same roof. 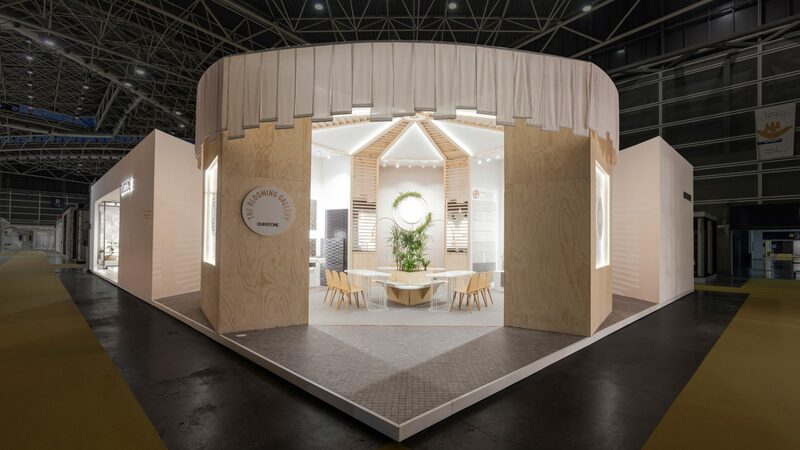 The creative concept was developed for the first time as the “Blooming House” and appeared inside Durstone’s stand at Cevisama 2013 fair. 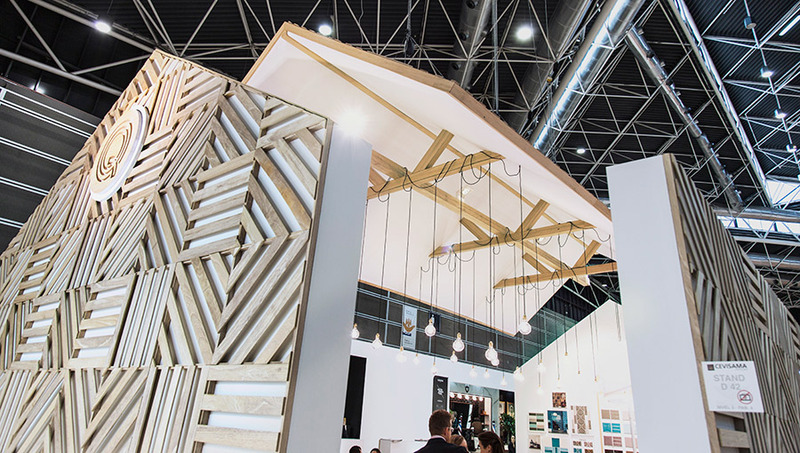 The architecture and the concept evolved fair after fair since Cevisama 2017 when we reinvented the Q zone transforming the “Blooming house” into the “Blooming Gallery”. 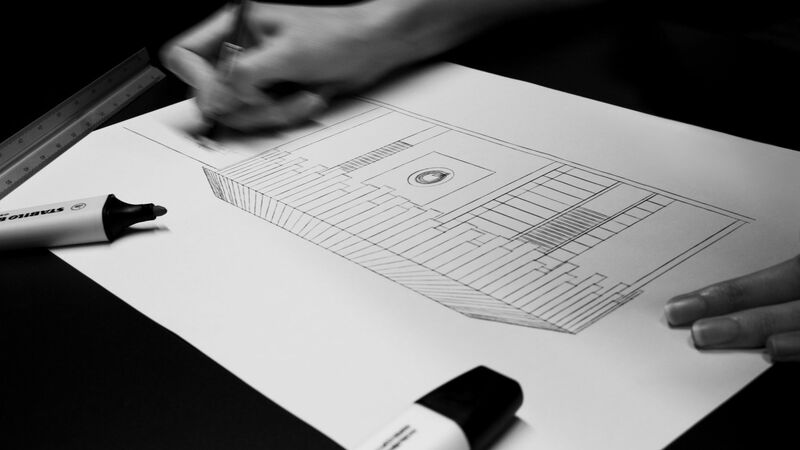 Maintaining the essence of the concept the initial rectangular disposition of the zone evolve to a more elegant and impressive circular design.